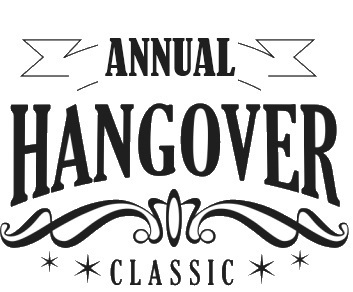 Sign-up online now for the fun Annual Hangover Golf Tournament. On Tuesday, January 1, registration starts at the San Carlos Golf Course at 9:00am and Shot Gun starts at 10:00am. The cost is 300 pesos per person. This Tournament fills up fast so sign-up now. Sign-up as an individual, couple or foursome. Individuals can sign up and we will make up teams into balanced foursomes. This is a handicap tournament. If you do not have a handicap, don’t worry. Just talk to the registration people and a fair handicap will be established for you. The format is a “Scramble” with only 2 Drives required per person BUT . . . you cannot follow your shot. It’s a FUN event with everyone playing from the RED tees. Non-member green fees including cart is $45 USD or $40 USD if you have your own cart. There will be refreshments at Registration: breakfast of coffee, juice, and breakfast burritos provided by Re/Max First Choice Realty and Bloody Mary’s provided by The San Carlos Men’s Club. There will be an Awards ceremony following play. There will also be an included meal of BBQ chicken, onion rings/fries and salad after the tournament. Non-players can participate in the meal for only 100 pesos. Don’t miss out on this fun, annual event!